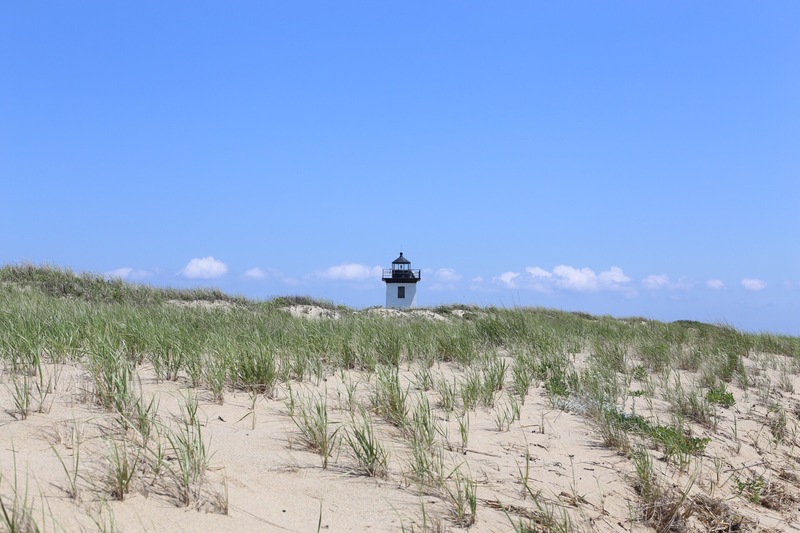 1.Wood End lighthouse in Provincetown, MA. 2. 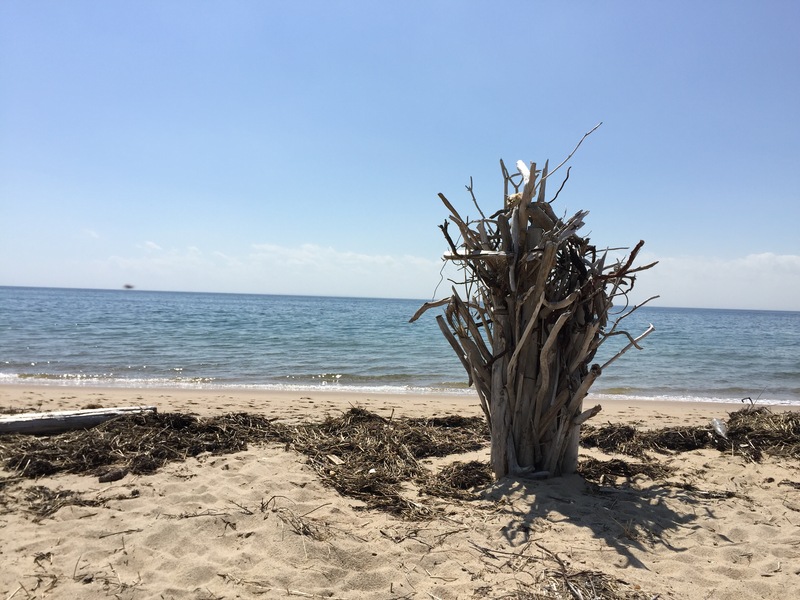 Herring Cove Beach sculpture, Provincetown, MA. Apparantly if you touch this sculpture, you will be cursed. Yikes, hands off! 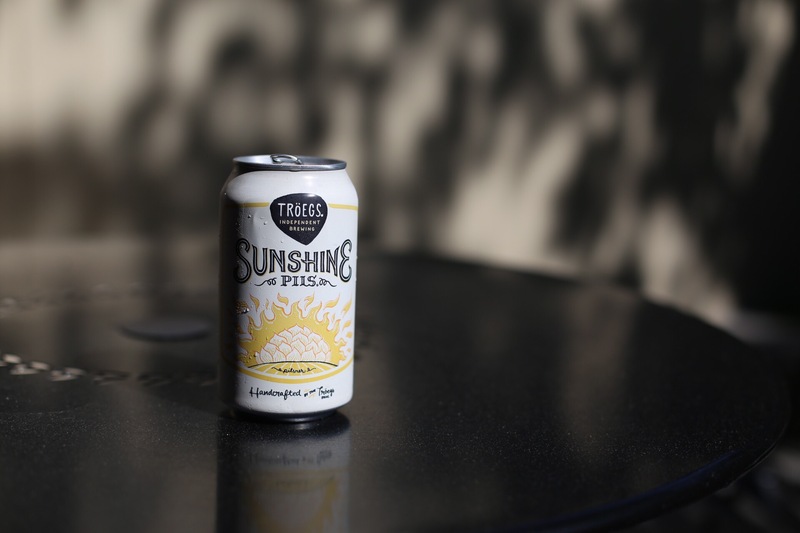 3.Sunshine Beer at The Knack restaurant in Orleans, MA. 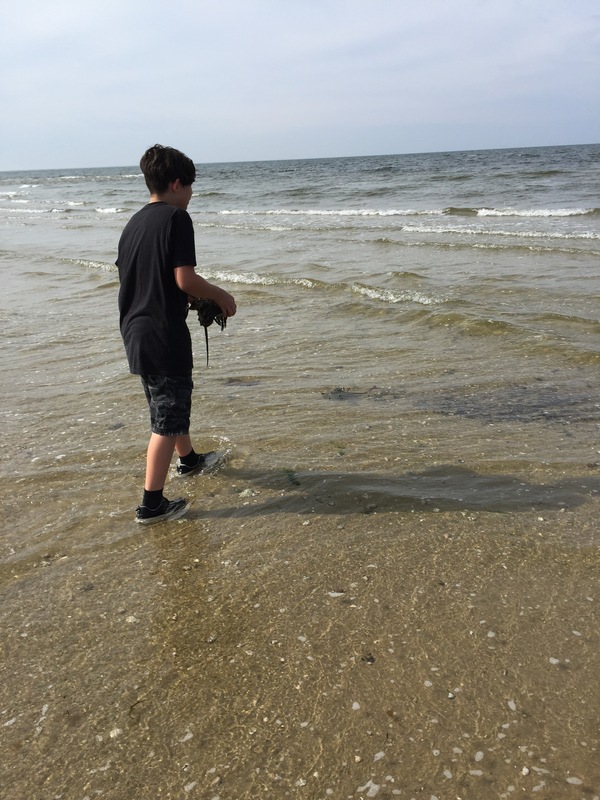 4.Horseshoe crab rescue on a morning beach walk. 5. 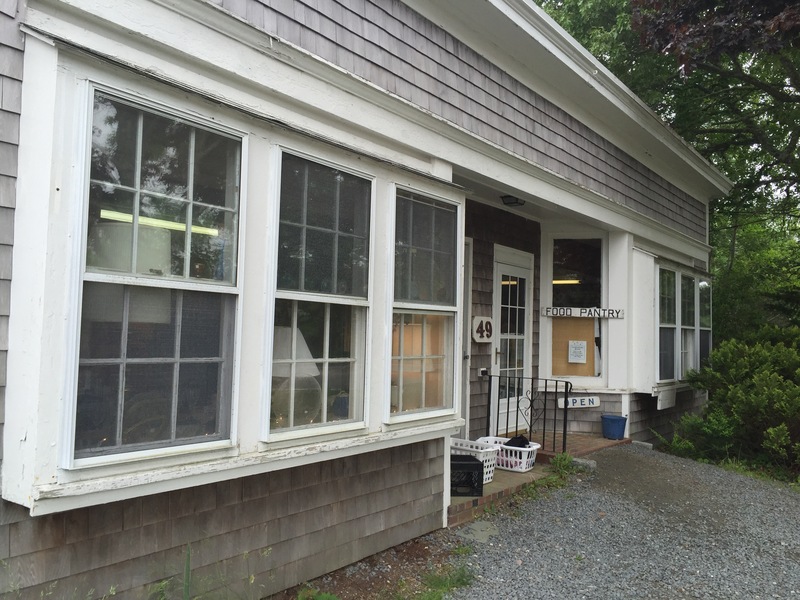 I loved the look of this thrift shop, unfortunately they didn’t have anything I couldn’t live without. 6. 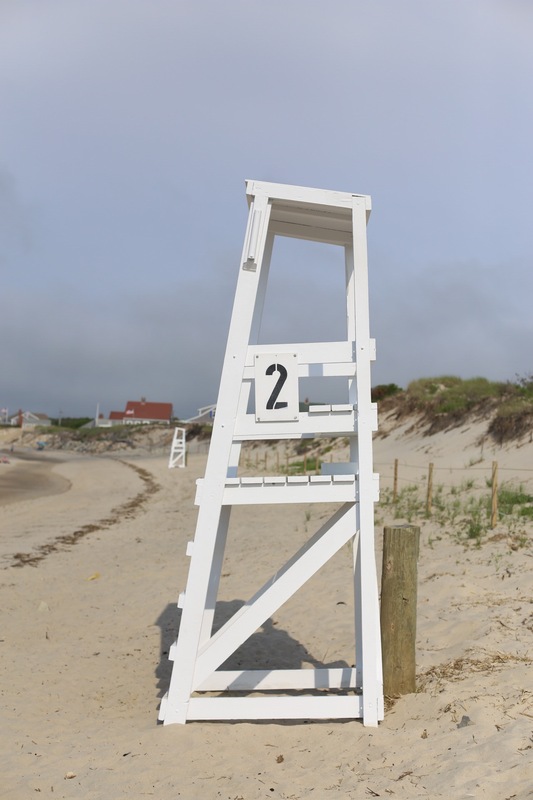 Lifeguard stands at Corporation Beach, Dennis, MA. 7. 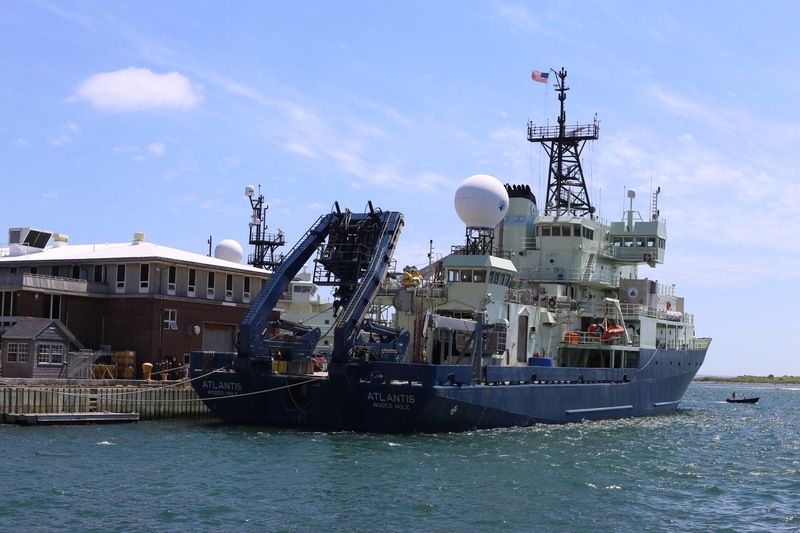 The Atlantis research vessel at Woods Hole in Cape Cod. 8. 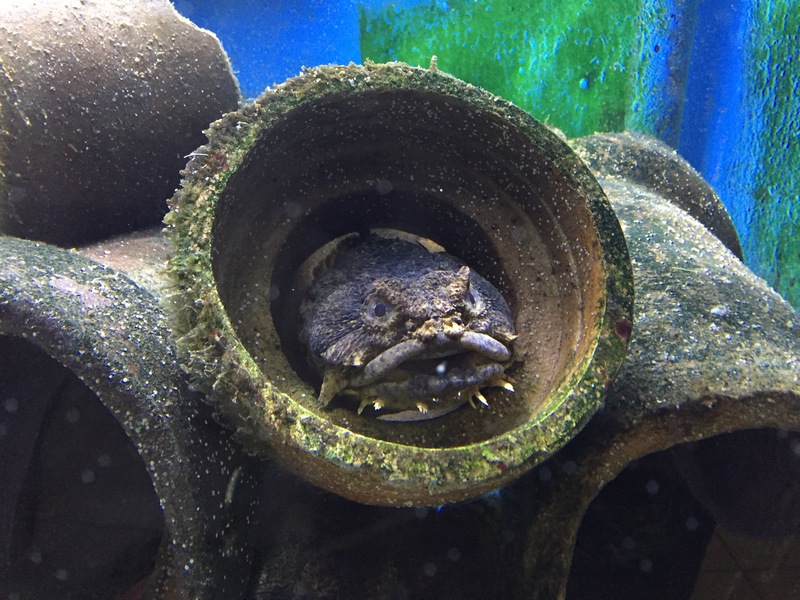 Grumpy (toad) fish at Woods Hole Science Aquarium. 9. 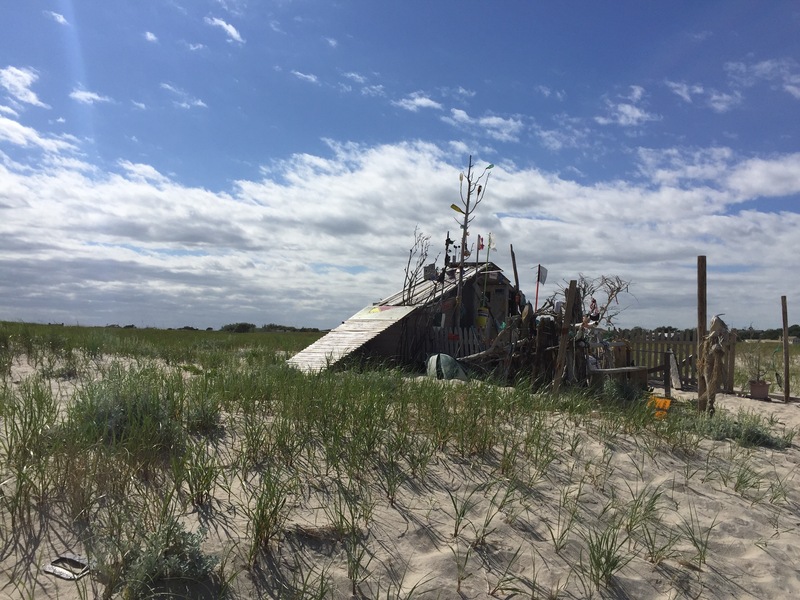 The ever growing beach shack at Chatham South beach. 10. 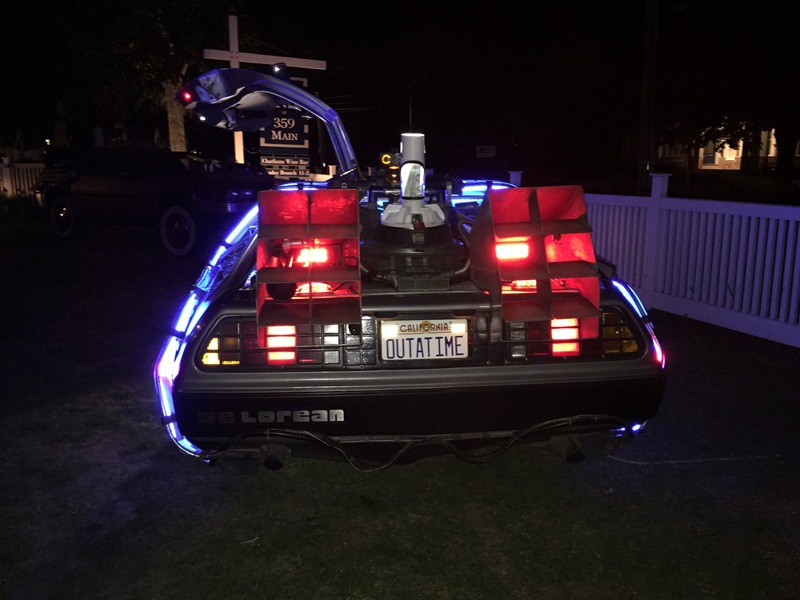 The Chatham Inn had the DeLorean from Back to the Future for a week’s fundraiser. Pretty cool. 11. 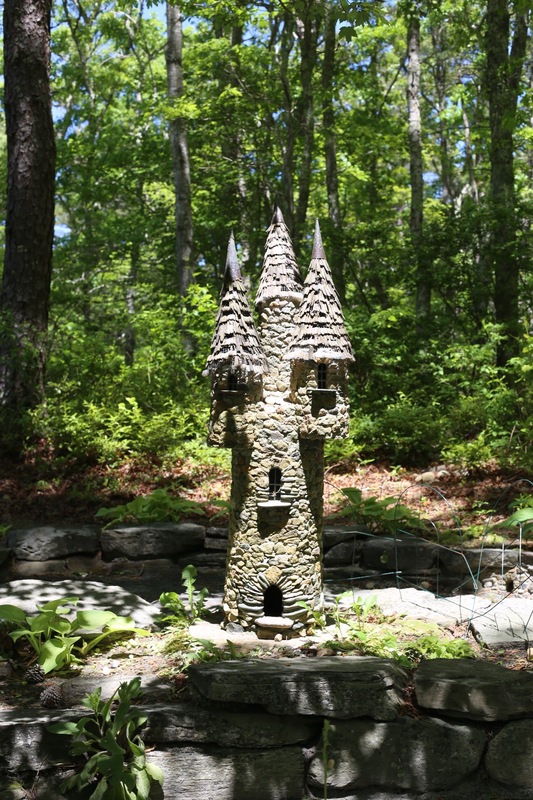 The lovely fairy castle at Cape Cod Lavender Farm. 12. 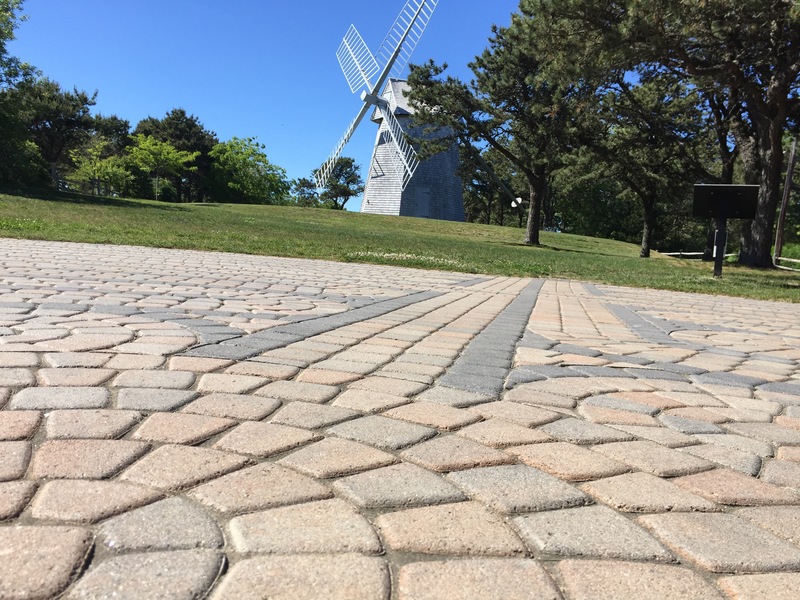 Godfrey’s Windmill and the Chatham Labyrinth with perfect blue skies. That wraps up my holiday snaps from our time in Cape Cod, now we are back in St Louis where it is a million degrees with skin bubbling sun and pea soup humidity! It is still good to be home though! Next Post100 Days of Altered Cards by CatsEatDogs, Days 31-50.